The AYHL is pleased to announce that New Jersey Titans forward, Jake Larusso announced his commitment to Colorado College for the 2021-2022 season. Jake has been a member of the Titans family since he was 7 years old. The Colorado College commit had a very strong start to the 2018-19 season playing in the first two games of the Fall Classic, scoring FIVE goals! We asked Jake about his experience playing for the Titans. Do you think playing in the AYHL has helped you become a better player? “Playing in the AYHL has helped me tremendously. 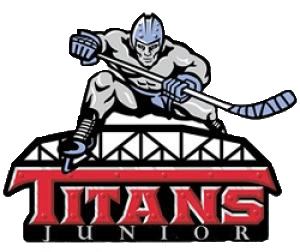 Playing against the best guys in our area every weekend really helps you develop your game to get to the next levels.” Jake also added, “The Titans are a top shelf organization and coach Haviland has helped me each and every day to get this long term goal of committing to a Division I school. I cannot thank him and the NJ Titans enough for everything they have done to help me reach this point.” Jake, we wish you the best of luck this season and Congratulations on your choice to attend Colorado College! The Atlantic Youth Hockey League is the USA Hockey-sanctioned Tier I AAA youth hockey league of the Atlantic District. From Connecticut to Maryland, the AYHL’s membership is comprised of over 100 teams, representing four districts, and is spread across six playing divisions. The AYHL’s mission is to develop young players with competition, fun, and good sportsmanship, and move them on to the next phase of their hockey career. With a distinguished alumni list of players that spent a portion of their playing career in the AYHL, today’s players choose to play in the AYHL knowing that it is a proven stepping stone for those serious in their hockey pursuits.